All the woodland creatures - Mole, Frog, Fo and Rabbit - love old Badger, who is their confidant, advisor, and friend. When he dies, they are overwhelmed by their loss. then, they begin to remember....as Badger had given them each something to treasure. Told simply, directly, and honestly, this is an uplifting story with a message for everyone. Have you ever wondered why a butterfly lives for only a few weeks? Or why a tree lives for hundreds of year? You may have been sad when someone in your family, or a favourite pet became sick and died. There is a beginning and an ending to everything that is alive. In between is a lifetime. Dying is a much a part of living as being born. This is a beautiful book to begin a conversation about death and dying. Day after day Emily draws pictures of dark clouds with rain, and houses with tiny windows and doors. She misses Ben very much. When Emily loses her brother after a long illness, she feels alone, angry, and very, very sad. With the understanding and support of her parents she learns that it helps when she snuggles with her parents and it helps when she talks about her feelings and asks questions about Ben. She learns that it helps when she does regular kids stuff too, and mostly that remembering Ben and their happy life together builds healthy and helpful images that soothe her sad feelings and provide much comfort for her and her family. The Cancer That Wouldn't Go Away is a groundbreaking book, written especially for the child whose parent is living with metastatic cancer. This sensitively written tale uses a gentle, yet realistic approach to help children ages 4-8 face the unique uncertainties of life with incurable cancer. Unlike stories about early-stage cancer, after which the parent is cured and life goes back to normal, for the family in this story, life has irrevocably changed. The future is uncertain. But love and laughter remain constant, as they take life one day at a time. Includes a comprehensive guide ("How To Use This Book") for parents and professionals, written by child trauma psychologist Rinat R. Green, Psy.D. Revenues from the sale of this book go directly to a nonprofit cancer organization. This book is a paperback. Our margin is 15%. We will willingly source this book for you as it deals with such an important subject. Cancer! Explaining Cancer to Kids - What Is It? Fight the Big C with those suffering from it! This educational book will take your child through a possibly ugly journey of pain and diseases. But why should your child still go through with it? It's because of the knowledge that comes with the experience. You want your child to understand the what's, whys and how's questions are answered satisfactorily. Duck is going about her daily activities when she notices the presence of Death. Personified as a miniature Grim Reaper, complete with long robe and grinning skull, Death initially frightens Duck, who wonders if Death has come to "fetch" her. The (not so) reassuring response? "Oh, I've been close by all your life�just in case." Eventually Death seems so familiar that Duck even reaches out to warm him after a dip in the pond. Touched but undeterred, Death waits patiently until one day Duck succumbs, whereupon he launches her (and the titular tulip) out upon the "great river." The words express Everett's emotions, as he passes through the five stages of grief, as well as his mother's quiet understanding support. Quiet beautiful with superb black and white drawings to illustrate the story. This story by Leo Buscaglia is a warm, wonderfully wise and strikingly simple story about a leaf names Freddie. How Freddie and his companion leaves change with the passing seasons, finally falling to the ground with winter's snow, is an inspiring allegory illustrating the delicate balance between life and death. "The Fall of Freddie the Leaf" is a warm and thought-provoking story and both children and adults will be deeply touched by this inspiring book. This 20th anniversary edition of this beloved classic has helped thousands of people come to grips with life and death. When things break, who do you get to fix them? The Fix-It man of course! It's handy having a dad who can fix just about anything. But what happens to broken hearts when sticky tape and super glue are not enough? Together, a young girl and her father face grief and heartache, and discover that love can sometimes be the best glue of all. A Story for Children about Dying (2ND ed. Written for children who may not survive their illness or for the children who know them, this tender and touching tale helps address feelings of disbelief, anger, and sadness, along with love and compassion. 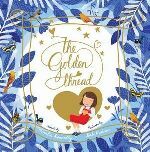 This Australian book follows a young girl called Rosie who is learning to deal with the sudden loss of her big brother. It provides a framework for dealing with challenging emotions, and does so in a beautiful way. A family uses creativity and humor to cope with a mother's breast cancer treatment. After Janie and Jeffrey learn about their mother's cancer, their parents introduce the siblings to the doctor, who explains, "..we're working very hard to make her better, probably by pumpkin time." This inspires narrator Janie to suggest planting a garden: "Watching it grow, and eating healthy veggies, will remind us Mom's getting better. Then before we know it... Hello, pumpkins, goodbye cancer!" The family plans, plants, and tends to the garden as the children's mother undergoes surgery, chemotherapy, and radiation. The side effects of each stage of treatment are described in a candid yet not alarming manner. Rarely pictured without a smile, the mother exudes optimism, even turning her pre-chemo head-shaving into a "party." Valiant's wispy illustrations are characterized by frenetic sketchy outlines that initially heighten the children's nervousness, but later feel suggestive of the family's energy and hopefulness, which should reassure children facing similar ordeals. Ages 6-10. After the death of his father, Little Tree begins to learn how to cope with his feelings and start the healing process. With the help and support of his family and friends, Little Tree learns to cope by discovering what is really important in life, and that his fathers memory will carry on. Best-selling author, Julia Cook, and a lovable cast of trees, offers a warm approach to the difficult subject of death and dying. It's an ordinary day at school for Maddy, Sam and Bec. During the morning they are called to the Principal's office. why is Uncle Craig coming to take them home? what's happened? what's the police car outside the house for? why is Mum crying? Something horrible has happened to dad. The Policeman said he had left a letter. This is a beautifully presented book to help chidren who are grieving following the suicide of someone close to them. the three stories are written in words and concepts that will be easily understood by children in the 5-7, 8-10 and 11 plus age-groups for which each is intended. the book includes sensitive suggestions to encourage discussion and exploration of a range of feelings. This is an Australian book which fills a desperate need. There is very little written anywhere for children coping with SUICIDE. Once there was a girl whose life was filled with wonder at the world around her. One day something happened that made the girl take her heart and put it in a safe place. However, after that it seemed that the world was emptier than before. But would she know how to get her heart back? In this deeply moving story, Jeffers deals with the weighty themes of love and loss with an extraordinary lightness of touch and shows us, ultimately, that there is always hope. An art therapy and activity book for children coping with death. Sensitive exercises address all the questions children may have during this emotional and troubling crisis. Children are encouraged to express in pictures what they are often incapable of expressing in words. Howard and his friends discuss how they can help Kiki deal with her loss. They decide it's best to ask her how they can help and they listen to her, respecting her wishes. When a close friend or family member dies, it can be difficult for children to express their feelings. This book helps children understand that death is a part of life. Thomas, a psychotherapist and counselor, promotes positive interaction among children, parents, and teachers. Full-color illustrations. This gentle picture book explores the grief of a young boy whose best friend has died. As he goes about the things he does in a day, he thinks about how it would be if Nathan were still present. The teacher is able to instigate some activities that help the class express their grief. One of the few books that deals with the death of a friend in childhood. Mums and Dads feel the tug whenever kids give it a pull. Kids feel the tug that comes back to them. This story is a very simple approach to overcoming the fear of loneliness or separation from parents, with an imaginative flair that children can easily identify with and remember. Here is a warm and delightful lesson teaching young and old that we aren�t ever really alone. This beautifully simply book will help many children, ages 3-7 comes to terms with their grief when parents separate and children long to have the family together again. This book can also be used with children who have suffered a bereavement. The illustrations are beautiful, the words succinct, and it's an ideal book to start a conversation. It is a beautiful spring day, and Luna is having a picnic in the park with her family, wearing her Mum's red hat. Luna's Mum died one year ago and she still finds it difficult to understand why. She feels that it may have been her fault and worries that her Dad might leave her in the same way. Her Dad talks to her to explain what happened and together they think about all the happy memories they have of Mum. This beautifully-illustrated storybook is designed as a tool to be read with children aged 6+ who have experienced the loss of a loved one by suicide. Suicide always causes shock, not just for the family members but for everyone around them, and children also have to deal with these feelings. The book approaches the subject sensitively and includes a guide for parents and professionals by bereavement expert, Dr Riet Fiddelaers-Jaspers. It will be of interest to anyone working with, or caring for, children bereaved by suicide, including bereavement counsellors, social workers and school staff, as well as parents, carers and other family members. When Gramps realizes he has Alzheimer's disease, he starts a memory box with his grandson, Zach, to keep memories of all the times they have shared. Fox has lived a long and happy life in the forest. One day, he lies down in his favourite clearing, takes a deep breath, and falls asleep for ever. Before long, Fox's friends begin to gather in the clearing. One by one, they tell stories of the special moments that they shared with Fox. And, as they share their memories, a tree begins to grow, becoming bigger and stronger, sheltering and protecting all the animals in the forest, just as Fox did when he was alive.This gentle and comforting tale celebrates life and the memories that are left behind when a loved one dies. 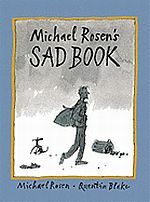 With unmitigated honesty, a touch of humor, and sensitive illustrations by Quentin Blake, award-winning author Michael Rosen explores the experience of sadness in a way that is sure to resonate with readers of all ages. Through rhyming text, a mother explains to her child that she has breast cancer, which might mean such things as a loss of energy and hair but never a loss of love. Shows a young boy's anxiety prior to learning his mother's cancer diagnosis, his ability to adapt to lifestyle changes once provided with honest information and reassurance, and, most importantly, his family's resumption of familiar ways once treatment is completed. Steering clear of extraneous facts, the book focuses on just what needs to be said in order to make a tough situation manageable. Bright watercolors and cheerful cartoon illustrations keep the tone upbeat. While the book has definite value for kids facing cancer in the family, it is also suitable for sharing with friends and classmates. Your activity book to help when someone has died. Offers practical and sensitive support for bereaved children. Beautifully illustrated, it suggests a helpful series of activities and exercises accompanied by the friendly characters of Bee and Bear. This book offers a structure and an outlet for the many difficult feelings which inevitably follow when someone dies. It aims to help children make sense of their experience by reflecting on the different aspects of their grief, whilst finding a balance between remembering and having fun. This book is a useful tool in the present, and will become an invaluable keepsake in the years to come. 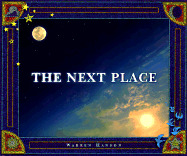 A classic, "The Next Place" brings gentle verse revealing a safe and welcome destination free from earthly hurts and filled with wonder and peace. A comforting message of hope and a gift of compassion for the bereaved. Exquisite, color illustrations. The little girl in NOWHERE HAIR knows two things: Her mum's hair is not on her head anymore, so therefore it must be somewhere around the house. After searching the obvious places, the story reveals that her mother, although going through cancer treatment, is still silly, attentive, happy and yes, sometimes very tired and cranky. She learns that she didn't cause the cancer, can't catch it, and that MOMMY is still very much up for the job of mothering. The book, written in rhyme, explains hats, scarves, wigs, going bald in public, and the idea of being nice to people who may look a little different than you. It ends with the idea that what is inside of us is far more important than how we look on the outside. For any parent or grandparent, this book offers a comfortable platform to explain something that is inherently very difficult. Old Pig and Granddaughter have lived together for a long, long time. They share everything, until one day when Old Pig does not get up as usual for breakfast. Calmly she puts her affairs in order, and then she takes Granddaughter on a last, long walk. Old Pig and Granddaughter say goodbye to each other in the best way they know. This is the story of a very special rabbit. He enjoys ding rabbity things, but he also loves - well, un-rabbity things. His boundless creative talents a source of joy and inspiration to the other rabbits. When rabbit suddenly disappears, no one knows where he has gone. His friends are desolate. But, as it turns out, rabbit has left behind some very special gifts for them, to help them discover their own unrabbity talents! This stunning book celebrates individuality, encourages the creativity in everyone, and positively introduces children to dealing with loss of any kind. The Rudi of the title is the narrator's classmate, a friend from down the street who's a good companion even though he's "sick a lot." Rudi's heart problems worsen and he eventually dies ... leaving the narrator and her classmates struggling with a way to cmmemorate their friend. Japanese legend holds that if a person who is ill makes a 1,000 paper cranes, the gods will grant that person's wish to be well again. Beautiful illustrations by Caldecott-medalist Ed Young enhance the story of Sadako, a young girl dying of leukemia as a result of the atom bombing of Hiroshima. Since Samantha Jane�s dad died, she has been sad and quiet, keeping to herself. One day, her neighbor Mrs Cooper gently asks her about her missing smile, and Sammy Jane begins to open up about her grief, her worries, and her confusion. Sammy Jane�s mother joins her daughter in Mrs Cooper�s garden, and helps her further with accepting and responding to her profound loss. 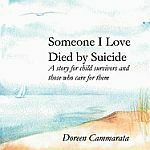 This book deals with the full range of emotions, questions, and worries that children have when a parent has died, including: Will people think I didn�t love my dad if I seem happy? If I let myself cry, will I ever be able to stop? Can my sadness just go away if I ignore it? If I talk to my mom about it, I�m worried I�ll make her even more sad. It also offers ways to remember and honor the lost parent, encourages the open sharing of feelings, and helps children understand that their parents want them to be happy and live their lives fully. For ages 4-8 years old. A young girl and her lovable dog, Lulu, are the best of friends. They play games together, explore their neighborhood, and even cuddle up to read bedtime stories each night. Lulu is the best dog a girl could ever hope for, but when she grows older and gradually becomes weak, the little girl must face the sad possibility of losing her dear friend, and inevitably, cope with the death of her canine companion. Though she is deeply saddened by Lulu's passing and misses her very much, over time the little girl discovers that the sweet memory of her beloved Lulu will live on forever... in her heart. Helps young children learning to understand and cope with the mixed emotions that come with the loss of a loved one. An art therapy book for children coping with the loss of a pet. When Mia learns that her mother has died, all the colour in her world changes to a dreary grey. She feels guilty, angry, sad and lost (sometimes all at once! ), and she doesn't know what to do to feel better. Little by little, with the help of her Dad, Mia learns how to cope with her difficult feelings. Together, they remember her mother by creating memory boxes, and they even get rid of anger by crazily sloshing paints and punching holes in newspapers! In the end, Mia finds her own, very special way of coping. When she feels sad or lonely, she looks up to the stars. Full of practical strategies, this storybook for children aged 5-9 addresses loss, grief and hope. Written from the perspective of Mia who has experienced the sudden death of her mother, it covers the different stages of grief, from initial disbelief, anger and sadness to resolution and hope. The book highlights the importance of giving children the time and space to work through their feelings and provides a host of thoughtful activities to help them cope. It also addresses some of the questions children commonly ask about death. Uniquely illustrated, this book will be an invaluable resource for anyone supporting a grieving child, especially bereavement counsellors, social workers, teachers and other school staff, as well as parents. This newly revised edition of the book is designed for adult caregivers to read to surviving youngsters following a suicidal death. The story allows individuals an opportunity to recognize normal grieving symptoms and to identify various interventions to promote healthy ways of coping with the death of a special person. This activity book, written by the founder of The Children's Treehouse Foundation, is designed to help children cope with the news that their parents or grandparents have cancer. The diary provides age-appropriate explanations and allows kids to express their feelings though drawing, colouring, pasting and writing. In this modern-day fable, a woman who has suffered a terrible loss cooks up a special batch of "tear soup," blending the unique ingredients of her life into the grief process. Along the way she dispenses a recipe of sound advice for people who are in mourning. Barney was a cat. He died last Friday. And everyone was sad. They did what most people do when a cat they like dies. They had a funeral. And then they tried to think of good things about him. They wanted to remember him as he was; and they thought about some other things, too. Whenever a cat dies, or a dog, or a bird, or any friend, it can be a little like this story about Barney. Since dying is as usual as living, it's good to know about him. "The day she was born, her grandfather made her a ring of liver and polished stone, because he loved her already." Describes the relationship of a grandfather and his granddaughter from her birth until his death, very poignantly. This little picture story book is about a relationship between a grandmother and her granddaughter, and how it changes when the grandmother develops Alzheimer's Disease. It also deals with grief issues of losing a loved one, through physical or mental causes. It's written by an Australian author who has had personal experience of this issue. 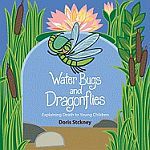 Waterbugs and Dragonflies is a graceful fable written by Doris Stickney who sought a meaningful way to explain to neighborhood children the death of a five-year old friend. After a water bug suddenly leaves her pond and is transformed into a dragonfly, her friends' questions about such departures are like those children ask when someone dies. Explainsin simple language the feelings people may have regarding the death of a loved one and the ways to honor the memory of someone who has died. Very good for early childhood. Explores what happens when someone is 'dead' and aspects of death and grief. An excellent resource for helping children learn the basic concepts of illness and various age-appropriate ways of coping with it. Copyright © 2019, Peoplemaking. Page dynamically created on April 20th, 2019, in 0.006 secs.